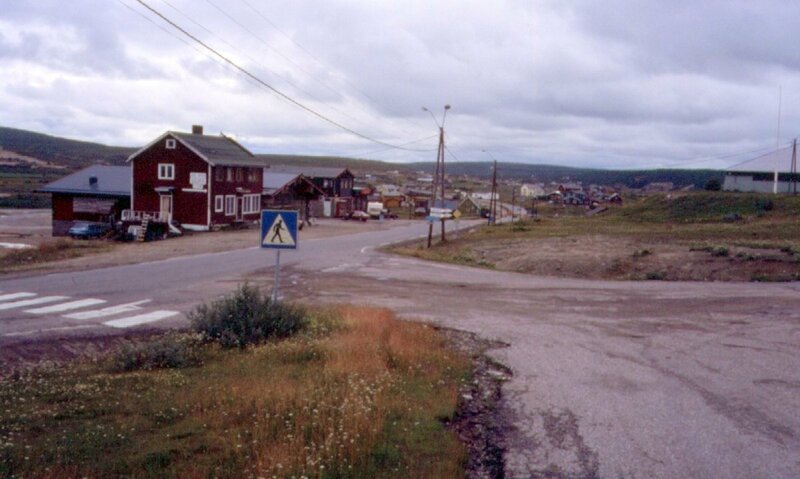 I set off with a friend from school on 9 July 1988 for our trip to the North Cape. We made use of our first summer holidays as students where we had three months to spare. I used my Koga-Miyata Randonneur which can be seen in the picture below. With all the luggage the bike was fairly heavy but also very stable due to the low rider panniers in the front. Amongst the necessities like sleeping bags, tent, cooker, clothes and food we also carried all the parts of the map with us. We had bought Swedish maps in 1:250000 and cut out the pieces we were most likely to use. In addition we had a large Kümmerly + Frey map of Scandinavia to keep our progress in perspective. 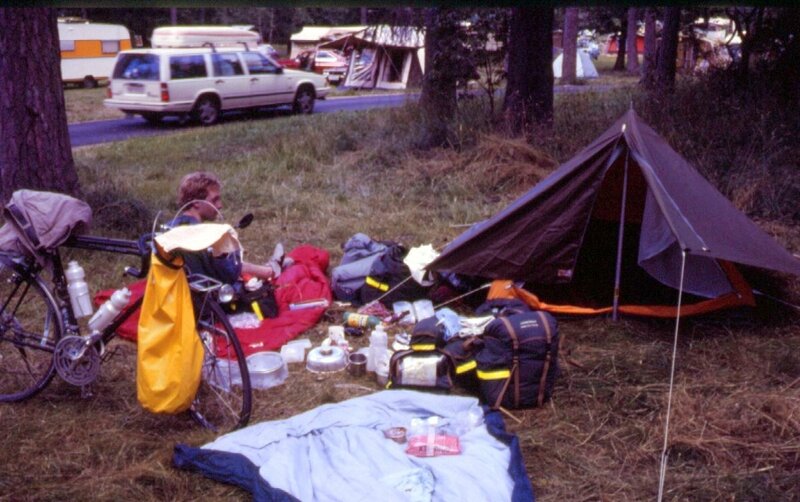 In 1988 there was no freely available GPS infrastructure, so we had less gadgets to carry than modern touring cyclists. Similarly, there was nothing to constantly charge, mobile phones were still too big and expensive to take on a bike tour. Digital cameras were still a few years away and batteries in film cameras tend to last a few months. We didn’t have a radio with us either because we didn’t speak or understand much “Scandinavian” and capable short-wave receivers were rather large at the time. I do believe we had a little torch, not that you need that very much in Sweden in the Summer, the nights are short. 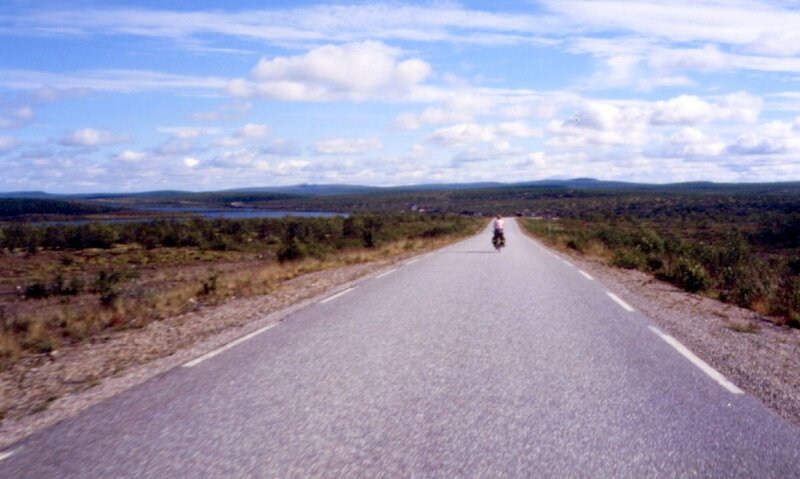 In our planning phase we had decided to head for the North Cape through the middle of Sweden. We assumed the route along the Baltic Sea would be boring and busy. And the option of going through Norway had its attractions, but we were less than convinced we’d be good at climbing passes in Norway. 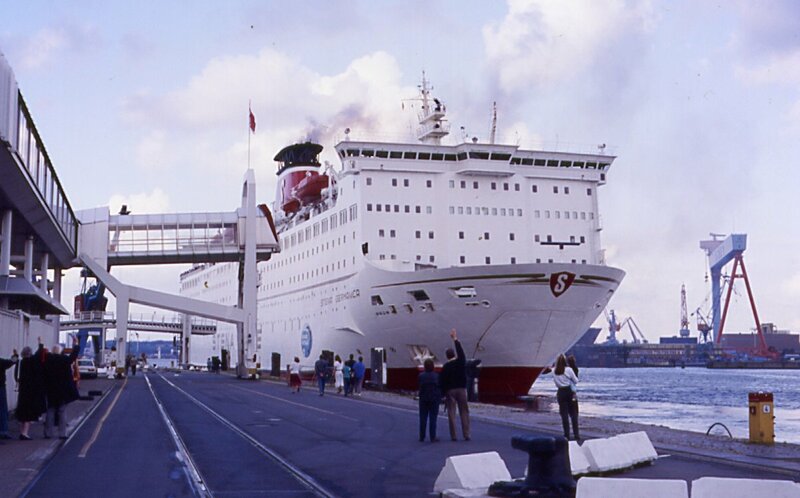 The Stena ship running between Kiel and Göteborg in 1988, this picture is actually taken by my father. As you can see there was no need for security fences in 1988 at ferry terminals. You could wave good-bye from the pier. the cars. At the time the ferry sold tickets for the passage only and you could sleep (or at least rest) in whatever free you found. We used our sleeping bags and slept near the check-in desk on a very crowded ferry. The next day we arrived in Göteborg on time and before we left the ship we filled up at the bargain breakfast buffet for DM9. On the way out of Göteborg we managed to clock up an extra 4km by cycling down a dead end. But eventually we found the open road. Near Bohus we crossed the river that gives Göteborg its name (or perhaps it’s the other way round?). 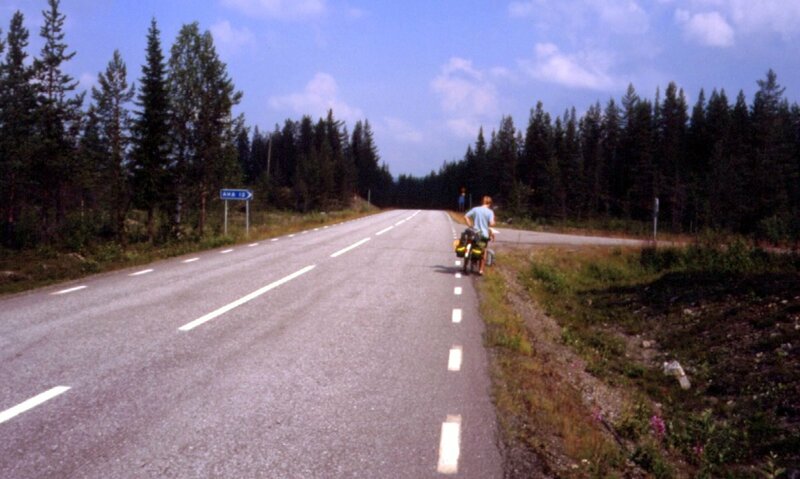 On one of our breaks we met a cyclist heading the other way, who was from … Kiel. After our first night in a tent. Towards Trollhättan the road became more undulating and we arrived at the campsite in the late afternoon. We had enough time to have a wander around town which was very quiet on a Sunday. Sadly we’d missed the annual waterfall display, when the old course of the reservoir dam is used to re-enact what it looked like before the dam was built. We started early at 6am, it had already been daylight for hours. The next day didn’t start well with badly marked and laid out cyclepaths. To make it worse after lunch it started to rain. After the daily shopping trip in ICA the route became hilly, busy and loud. A very unpleasant experience which was not made any better by the two hour long thunderstorm that started after we had put up our tent. The rain had been so bad that my speedometer cut out at some point for more than 20km. What could possibly be worse? This was another day of rain and sun still on fairly busy roads and as ever the biggest problem was excaping Säffle. Once we’d done that we cycled along constantly being overtaken by caravans. 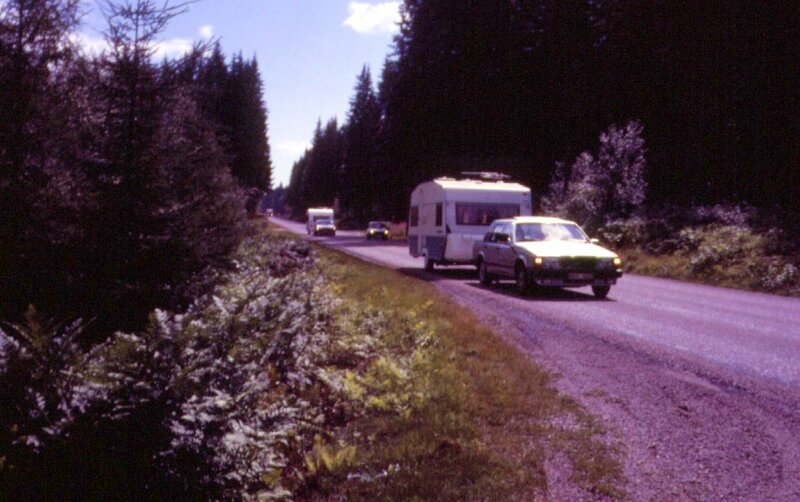 All of Sweden seemed to be on the road towing a caravan. Near Ed we missed the opportunity to use a ferry as it had been replaced by bridge. A ferry would have been nicer as it’s a good opportunity for a quick break. The route had its flat bits followed by steep inclines. Near Torsby we made our daily trip to ICA. Unable to find the local campsite we put up our tent on the grounds of the Catholic Church of Geesthacht. We were surprised to find this connection Schleswig-Holstein so far from home. 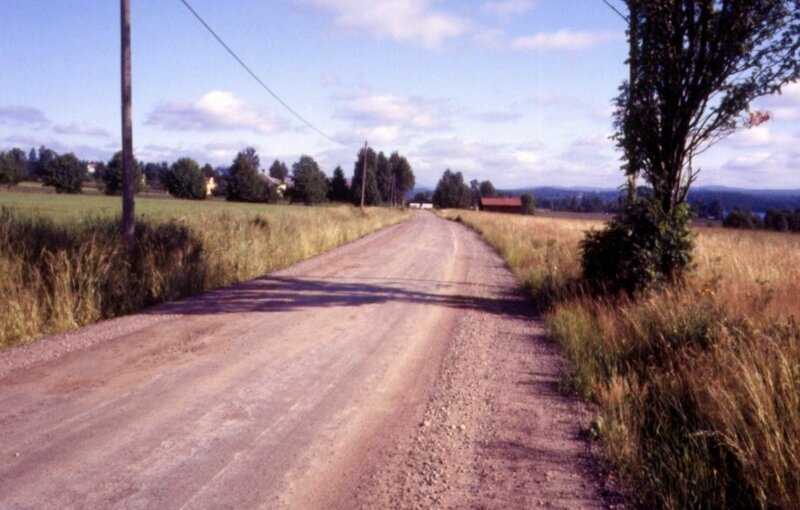 The road near Klarälven. You can see how we dried our damp towels by attaching them loosely to the luggage. descents. Downhill was of course more pleasant The roads were far less busy than the previous day which led us to speculate that a big factory must have started their holiday the day before. But we also went along less busy roads which weren’t even tarmaced. 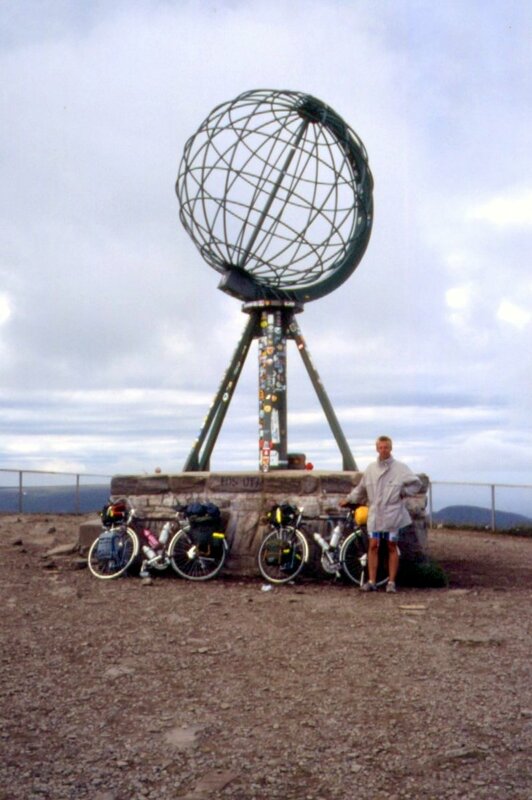 And we also met two fellow cyclists from Hamburg who had the same destination, the North Cape. used the campsite as we were unable to find a suitable place to pitch our tent. After a late start we went shopping in Sveg and also drew some money from our German post office savings account. This was one of the safest way to carry money around without a credit card (virtually unknown in Germany at the time and definitely not available to poor students). The service also had the advantage of being free and having favourable exchange rates. With an extra DM200 in our pockets we went shopping. After that we continued our journey into a headwind along an ugly road. 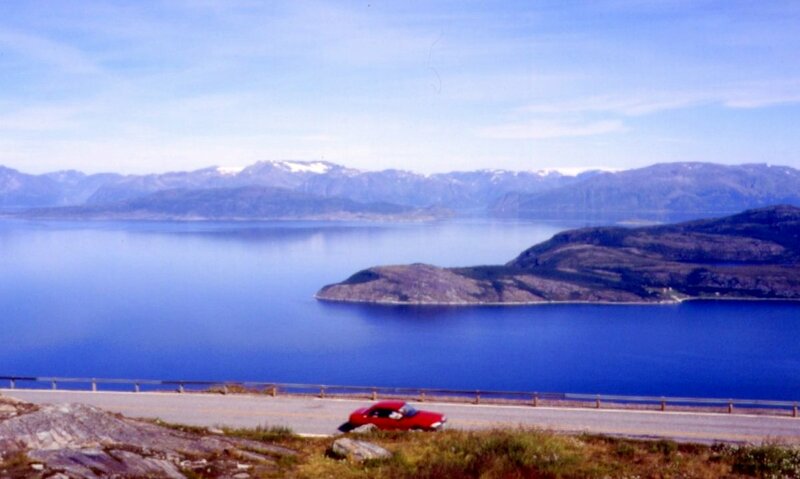 The road got more picturesque after Ytterhogsdal. Our peanut butter rations came to an end and we could not find any replacement for a few days. We saw some cycling tourists going the other way. 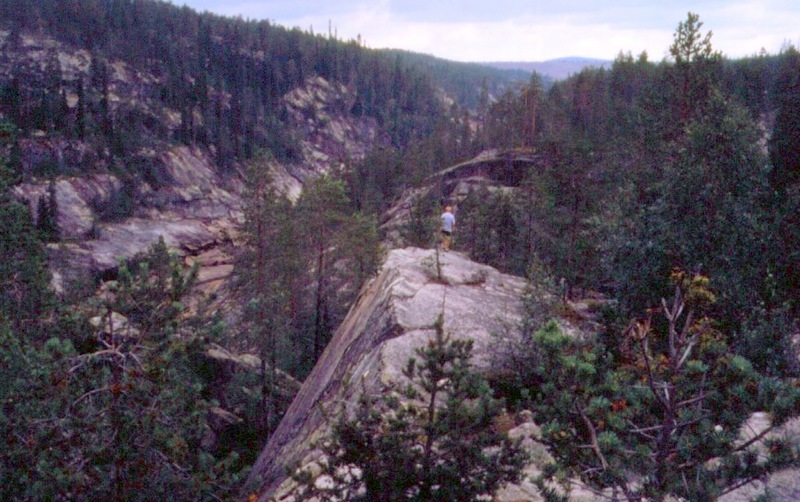 Near Overhögdal there was a forest with giant boulders. A dry day that ended in rain. We met a few other cycling tourists. We phoned home for the first time since our departure as we’d been on the road for a week. During the night there had been a lot of rain and from about 2am it was also bright enough for colour vision to work. The first part of this day was hilly into a headwind. Some of the hills provided nice longer descents. An unremarkable day with many straight roads and little diversion. The campsite was marked wrongly on the map, but we did find it. We looked enviously at cyclists heading the other way. Mostly a dry, mild cloudy day. An unusual early start at 8.25am before most other people had got up. Partly due to the fact that everyone else seemed to go to sleep way later than us. We posted some postcards before we set off properly. Soon monsoon like rain started, bringing visibility down to less than 100m at times. During our stop in Vilhelmina the electricity cut out in the supermarket. 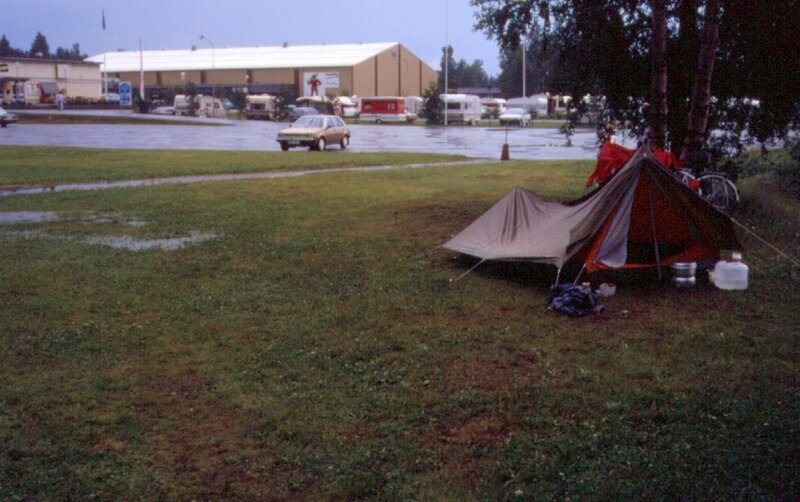 Camping in Storuman, we had to move our tent from the puddle on the left after a monumental thunderstorm. The remaining stretch was nice and flat, the pine forests gave way to bogland. Just before we reach the day’s destination the rain starts again. After the rain has stopped we need to move our tent as we had managed to put it up in a huge puddle. After we had dinner the rain continues through the night. When we packed up this morning everything is damp. Until Sorsele there were very few hills. But as the temperature increased so did the number of hills. We stopped at the Skellefte river and cooled our feet. The landscape was beautiful and a sunny, hot day was a welcome change to the rain of the previous days. In fact it was so hot that the kickstands of our bikes were sinking into the tarmac. 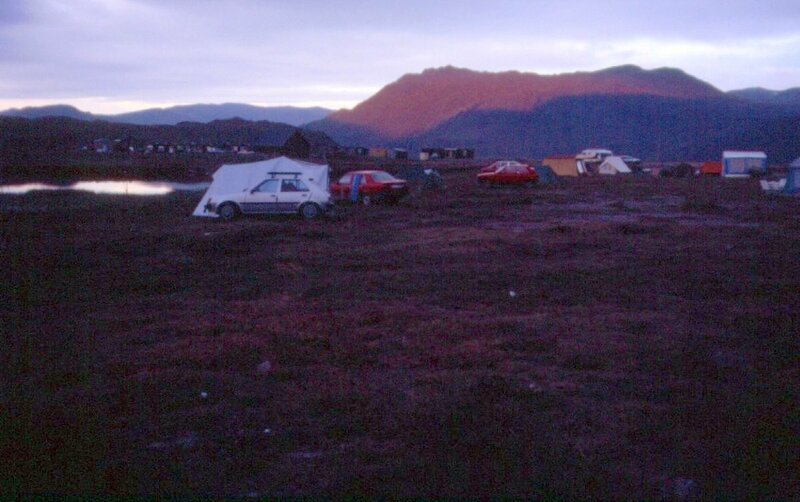 The landscapes became flatter and in the evening we ended up on a very luxurious campsite. 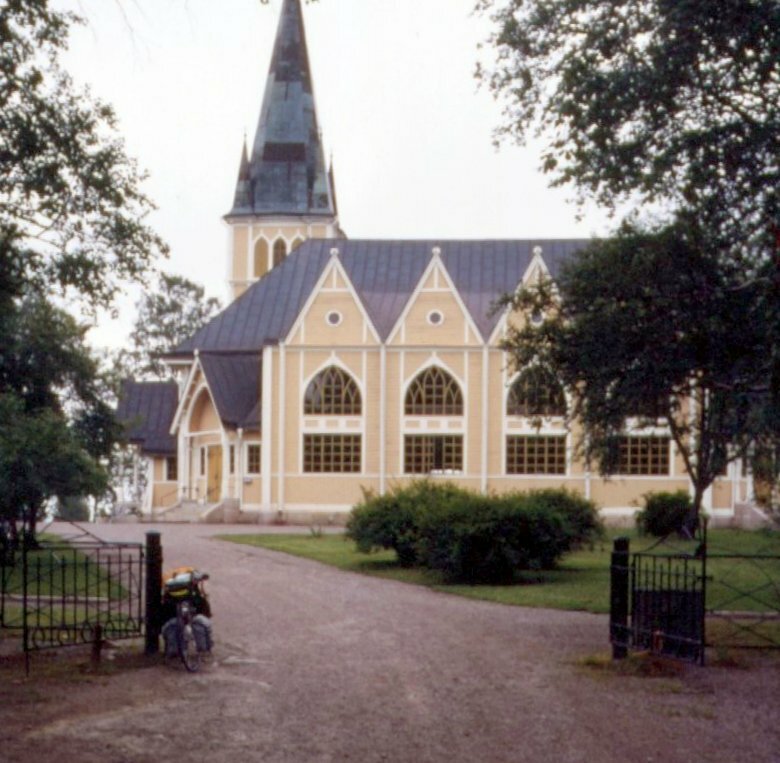 After a early start we took the opportunity to have a closer look at the church in Arvidsjaur. one of the many big rivers that are flowing from the mountains to the Baltic Sea. The roads were very straight and we saw the first reindeer. 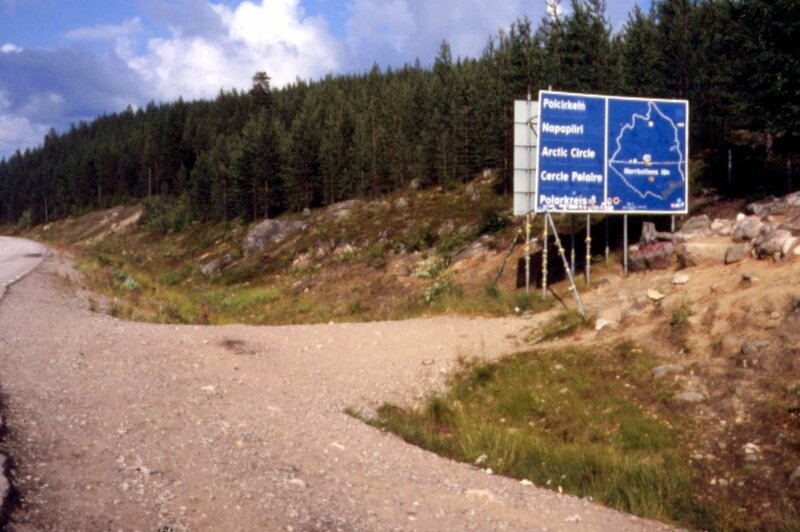 On this rather sunny and warm day we crossed the Arctic circle, which wasn’t as spectacular as we’d hoped. Perhaps not too surprising given that it’s a fairly random line. During the night it was now so bright that it is possible to take pictures. In the morning my friend tried to phone his parents but couldn’t get hold off them. Still, this seems to have been the first attempt to phone for a while. I’m not sure I would approve of such sparse communication attempts of my children these days. 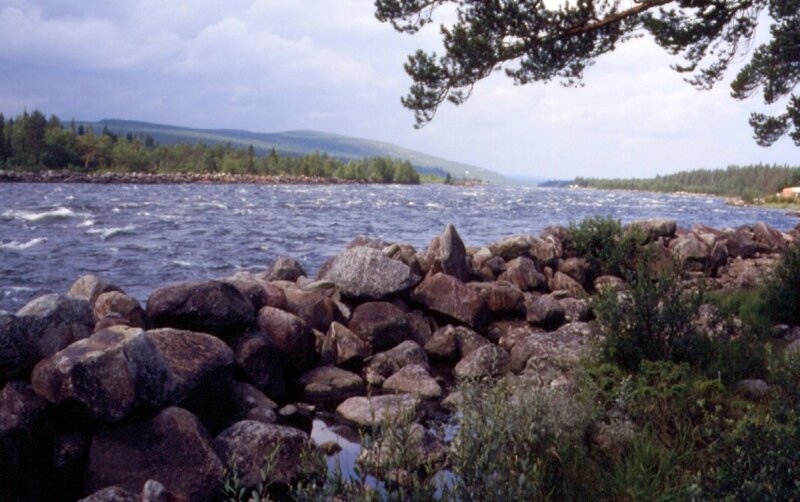 We came frequently across large rivers (Älv) that ran from the mountains to the Baltic Sea. They looked rather impressive and wide. Some of them had little water running in them due to large hydro-electricity installations. 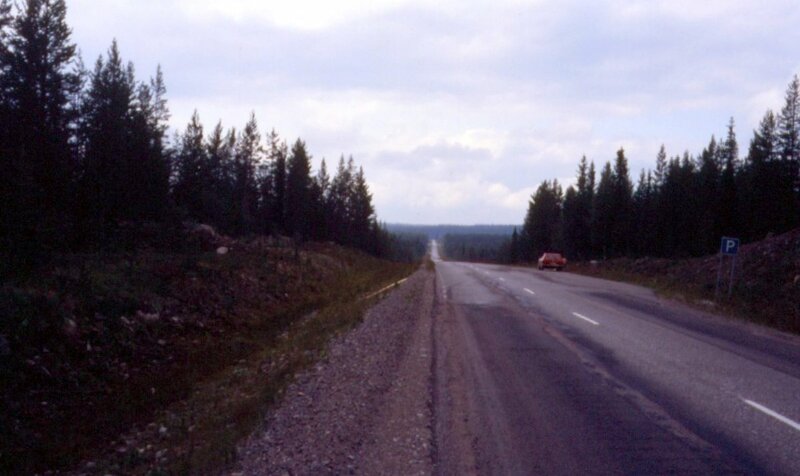 On a flat and beautiful road we approached Gällivare. Close to Gällivare was an impressive mountain (823m), certainly for us lowlanders. We hadn’t seen the Norwegian mountains yet. The remainder of that day’s trip was along a nice but busy and lumpy road. We couldn’t find the youth hostel advertised on our map, but we found a small private campsite near a lake. That evening we swapped our tyres for the folding ones we had brought with us. Tyres in those days don’t seem to have lasted long under load. The day’s reindeer count was four. During the “night” (it no longer gets very dark during the night) there was a small amount of rain and the wind has turned. We stocked up with water at a petrol station and set off. For the entire day there were heavy rain showers. The landscape was changing as well, the hills now resembled large piles of sand with hardly any vegetation. The villages we passed through were mostly just a number of houses dotted along the road. This evening we had problems with mosquitoes at a campsite for the first time. It suddenly became clear why our tent (a Swedish Fjällräven one) was equipped with a mosquito net. Every trip to the outside became only bearable if you ran. The weather had turned even greyer and much colder overnight. We ended up wearing pretty much everything we had. We crossed the border into Finland and in Hetta we stopped for our daily shopping and stock up on cheap chocolate and instant soups. What followed were the most awful 80km I have ever cycled. Rain started, which would stop the next day. We had a headwind, it was bitterly cold and the narrow road was lumpy and littered with potholes. 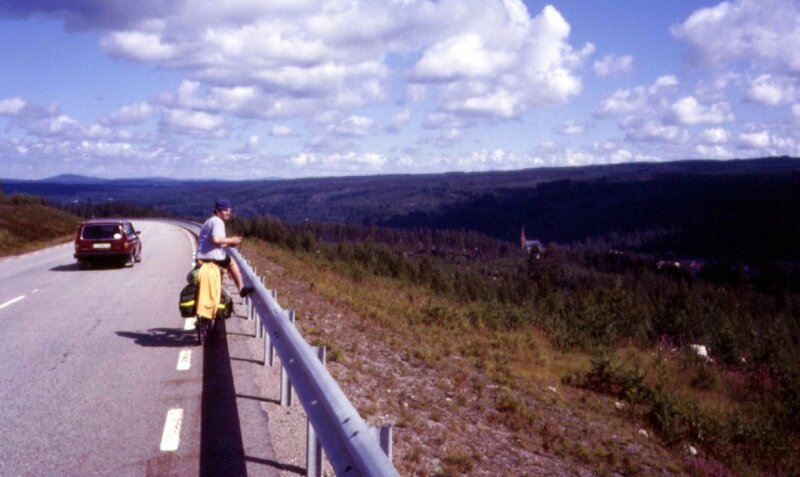 We were crossing into Norway and before we reached the campsite in Kautokeino we had finished our chocolate rations. That evening we were seriously considering to call it a day and return home by some other means of transport. Even after a warm shower and changing into dry clothes this feeling did not change. After a long breakfast we decided to have a rest day and explored the locality and also options alternative means of transport. It was still raining and bitterly cold. The Turistinformation was shut but there appeared to be a bus to Alta that might take bikes and our alternative plan was to turn and cycle back to Gällivare which has a train station. We had an interesting experience with an Italian tourist who mistook us for locals and asked rather irately “Where are the reindeers? I have driven all the way from Italy and there are no reindeers!”. He calmed down a bit after we established that we didn’t hide them deliberately and he might be better off asking someone else for advice, preferably a local. We also assured him that there were reindeer around. All afternoon the weather stayed grey, cold and miserable. But in the evening the sun came out, temperatures rise and the wind turned into a more favourable direction. After all the doom and gloom we decided to carry on. Who says we’re fair weather cyclists? Perhaps we just needed the rest day. The next morning we had sunshine and it was much warmer than it had been for days. We continued towards Karasjok. At some point we passed a signpost pointing out the nearest petrol stations in various directions, none of them was less than 100km away. We passed through a valley which had shrubs on one side and huge pine trees on the other. Presumably this was caused by the microclimate caused by the hillside facing the sun. 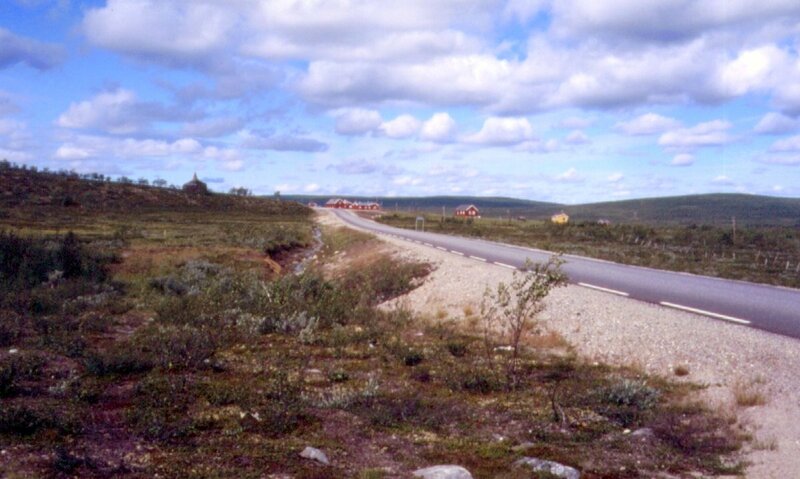 After shopping for overpriced food (Norway made Sweden look cheap) we continued towards the Norwegian via a minor pass that had a variable road surface with tarmac lacking in some places. We also passed through an extensive military area where you weren’t allowed to stop. Fortunately, we had no mechanical issues that would have forced us to stop. Originally, we had planned to cycle back home but this evening we decided to take the bus and train back home. We reckoned that this would hardly be any more expensive than another three weeks on the road and the weather this far north was not as warm as we had hoped for. In the morning we tried to find out about buses going south but it was difficult to find out any reliable information. I phoned briefly with my mum informing them about our change of plans. 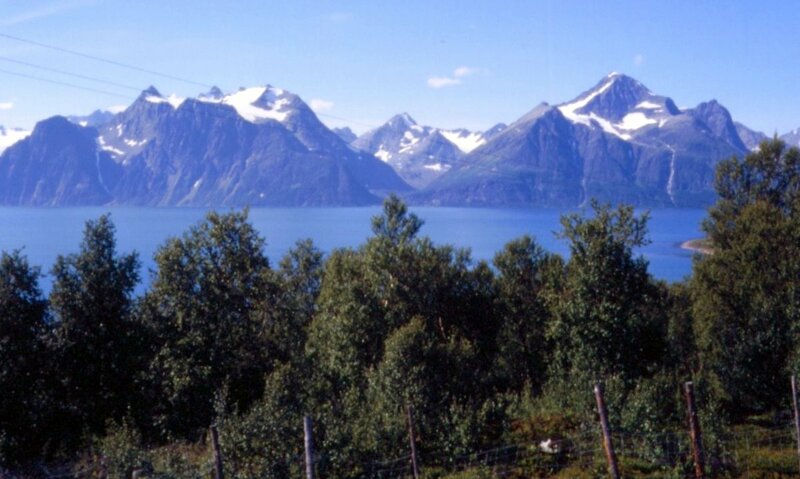 The route to Olderfjord was hilly but beautiful. In Olderfjord we finally reached the sea again for the first time since Gothenburg. We acquired DM200 from the post office and exchanged the remaining Finish money which we would not need any further. A highlight of the shopping trip was peanut butter which we had been missing since we ran out of it in the first week. Before we reached the ferry to the island the North Cape is on we had to cycle through a 2.6km long tunnel to our surprise. Fortunately there was not too much traffic, but the tunnel was unlit and the not tarmaced and littered with potholes. We were blinded by oncoming traffic multiple times, which made the potholes even more exciting. After paying NKR36 we reached the island on an old rusty ferry. 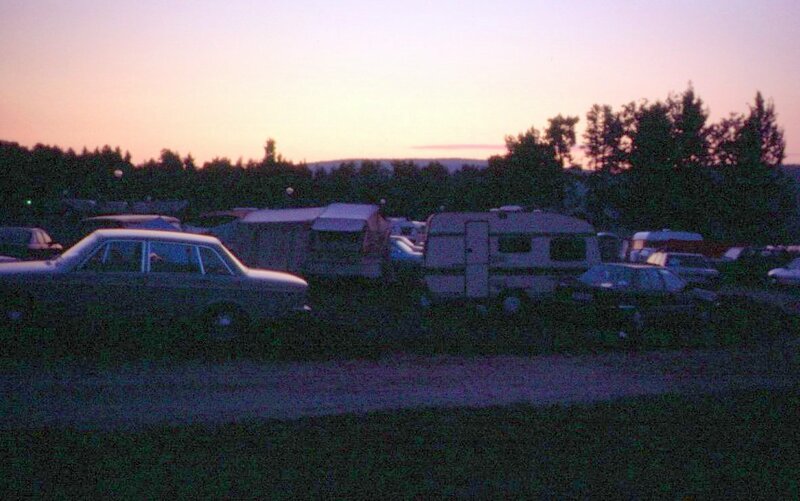 In the evening it was now so bright that we could write postcards and read newspapers until midnight. Unfortunately we did not get to see the sun directly at midnight as it was overcast. On what was to be the last day of cycling the sun was shining and we battled against hills and a ferocious headwind towards the North Cape. 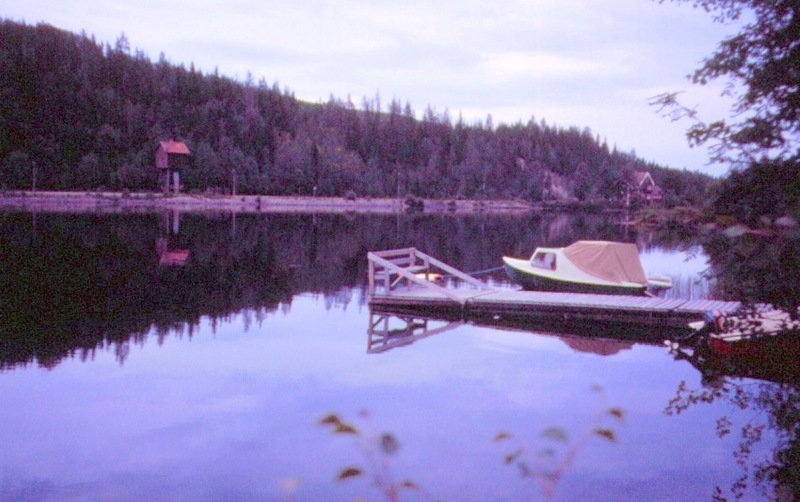 The landscape on the island was extremely picturesque. There was snow on the top of some of the small hills, and that after more than a month of constant daylight. When we arrived there were only a few other tourists at the Nordkapp and we took the obligatory pictures and warmed up with a cup of coffee. Before we left we noticed that my front luggage rack had cracked and we repaired it with some ties. The way back to the ferry was easier with the massive tailwind. When we arrived back in Honningsvåg we had missed the bus to Olderfjord. We decided to save some money and stay overnight in the cosily warm bus shelter rather than spending another night in the tent in the rain (yes, it had started to rain again). The night was fairly peaceful apart from the odd group of tourists arriving every now and then. 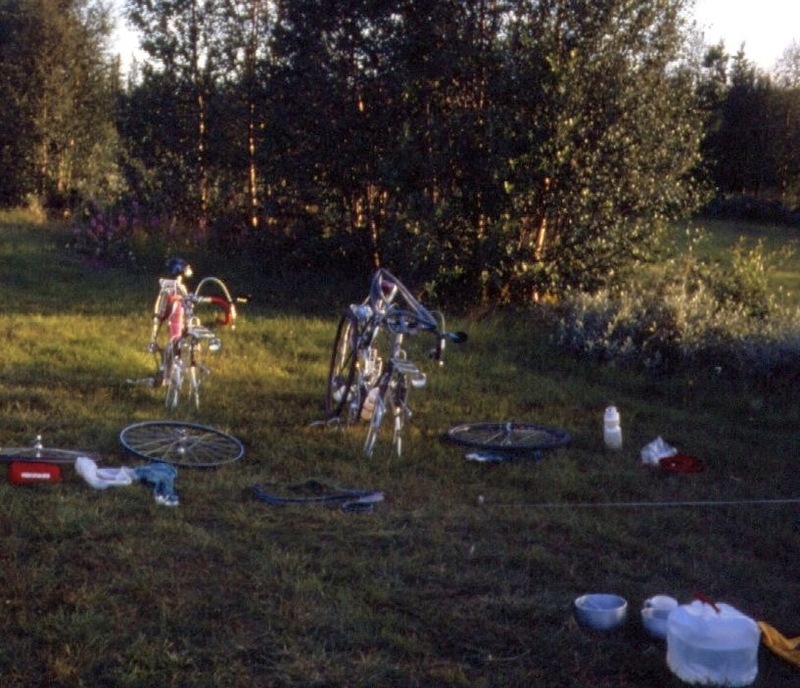 The next morning we took the bus Olderfjord, our bikes were strapped to the rear of the bus. It was raining all the way to Olderfjord where we changed for the bus to Alta. In Alta we checked out in a travel agency how much a trip by road or rail would be. After first considering to take the bus all the way we decided on the train which we are told would be about NKR600 from Narvik. We spent a pleasant afternoon on the campsite which is the best one so far apart from the the ground which has so many stones in it that we struggled to put up our tent. 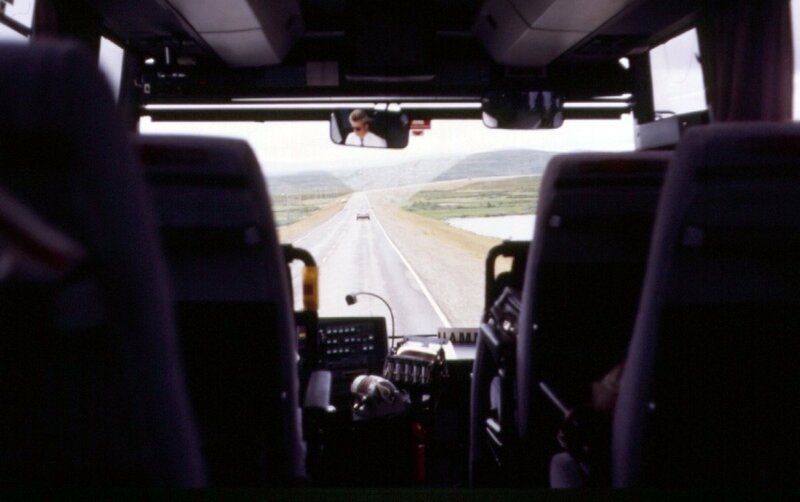 The next day we took the bus from Alta to Narvik. It was a journey through beautiful landscape along the E6. We took the ferry with bus at some point. And in total we changed buses three times. We were pleasantly surprised to get a student discount on our bus tickets. After a nice start the weather turned for the worse again later during the day. In Narvik we locked up our bikes and put the bags in lockers. We spent a few hours exploring the city. When we returned to the train station we find it locked. But fortunately there is a member of staff who allowed us to get in and retrieve our sleeping bags. Surrounded by lots of other Interailers we spent the night outside the station. We did not get much sleep during the night. It was pretty much daylight all night and on the horizon there was a permanent red dusk/dawn all night. In the morning we purchased our tickets to Kiel, in the end way paid about NKR885 per person for bus and train from the Honningsvåg to Kiel. Roughly the same amount we would have spent on food and camping for three weeks, just without the cold and rain. 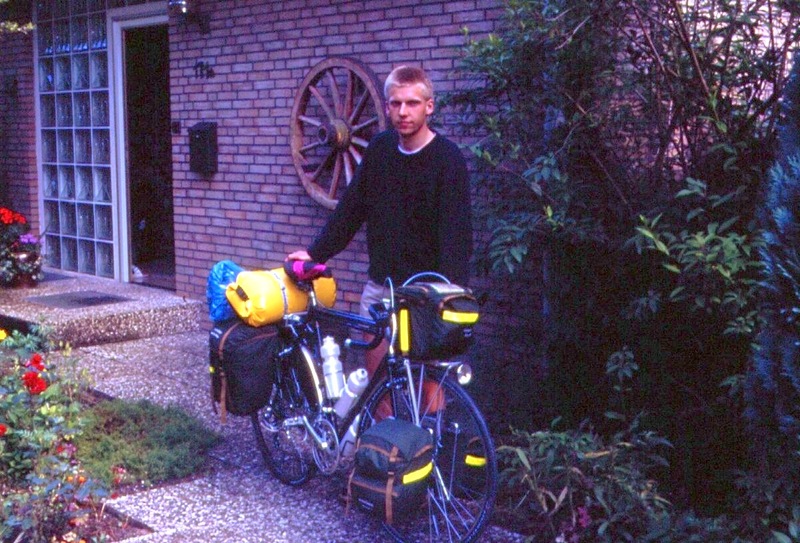 One irritation at the time was that we would not see our bikes for another 10 days as they were travelling separately. Before we set off we phoned home briefly. The train was full of Italian students. The very first part of the trip is spectacular as the train has climb from the Norwegian coast through the mountains into Sweden. 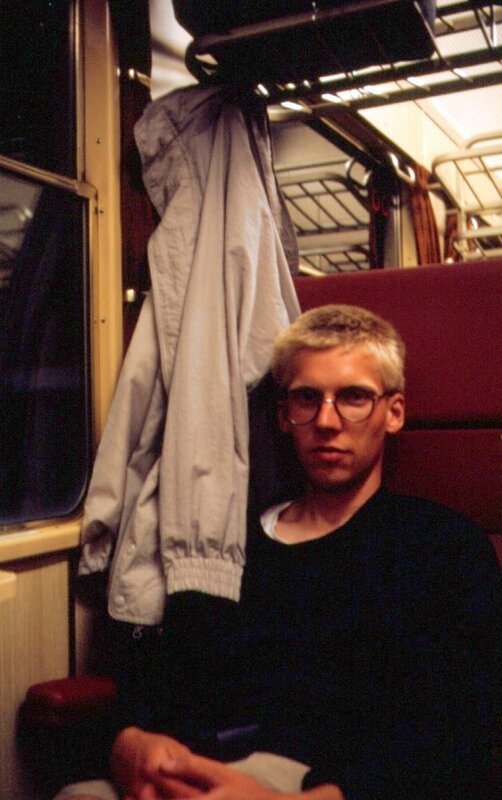 The train went down south along the Swedish Baltic Sea coast avoiding Stockholm. During the night it was properly for a few hours, but we still find it difficult to sleep on the train. 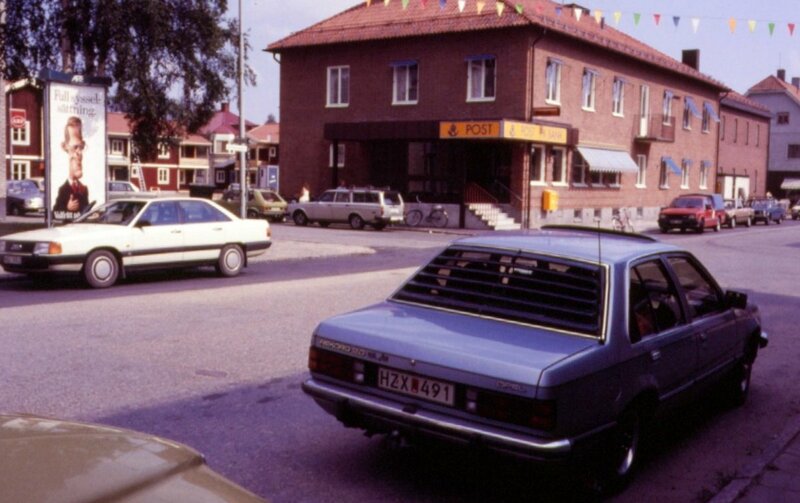 When we got Nässjö we noticed the difference in surroundings as houses were built with bricks and trees were tall again. We changed for a train to Copenhagen and there for a Eurocity to Hamburg. On the ferry from Rødbyhavn to Puttgarden we splashed out on a very large bar of chocolate. In Lübeck we changed trains the last time and arrived at 2318 in Kiel where our parents collect us. We had phoned them from Copenhagen. 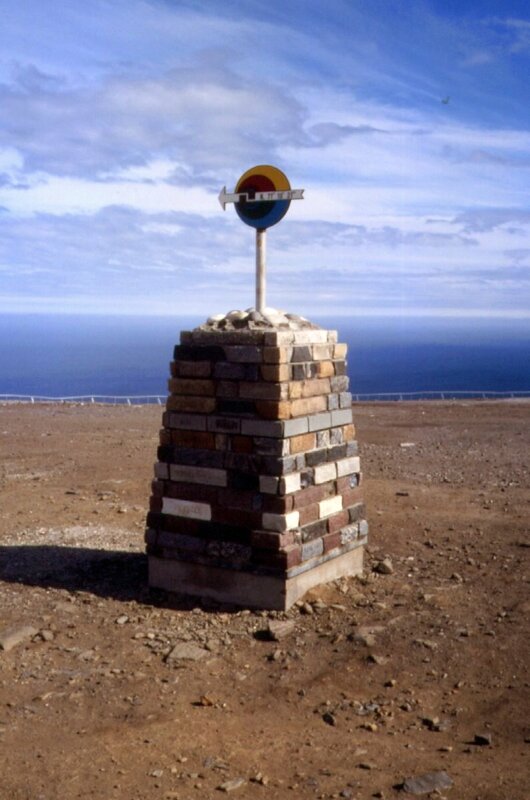 Well, we managed to get to the North Cape in 18 days, 17 if you discount the rest day. 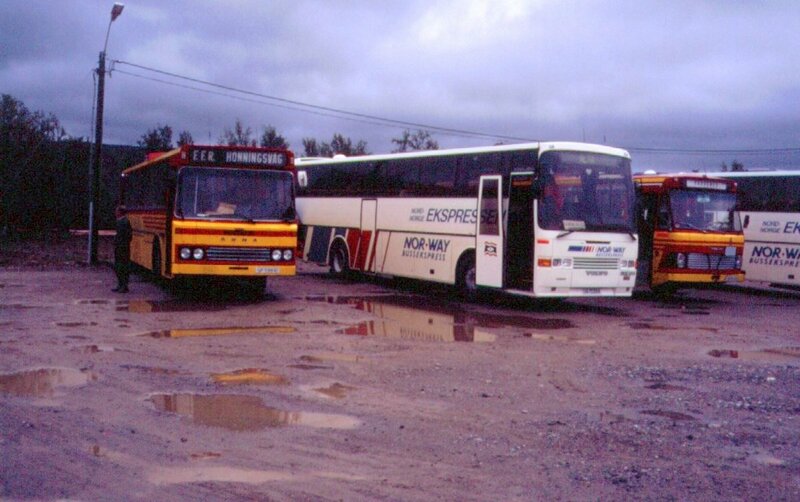 I spent in total DM970, of this DM120 was spent on the ferry from Kiel to Gothenburg and DM 270 on busses and trains. On average I spent DM44/day including transport and DM 27/day excluding transport. In retrospect we should have been prepared better for the rather awful and changeable weather up North. It was certainly more extreme than anything we’d experienced before in Scandinavia. It was interesting to travel through a region that is so sparsely populated with very few (if any) choices of roads. It was certainly a little bit of an adventure of a lifetime which I greatly enjoyed. And finally a map of the adventure. 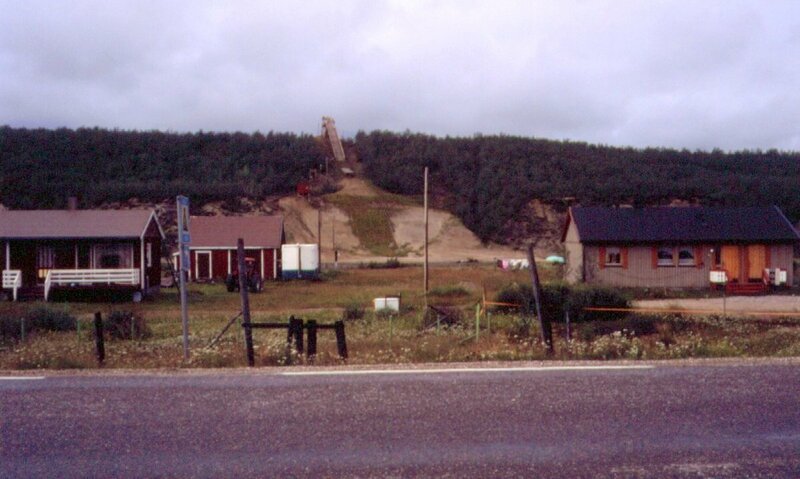 I believe the roads near the North Cape have changed quite a bit. You no longer use the ferry to get to the island but there is now a tunnel. I don’t know if you’re allowed to cycle through it and how pleasant that is. 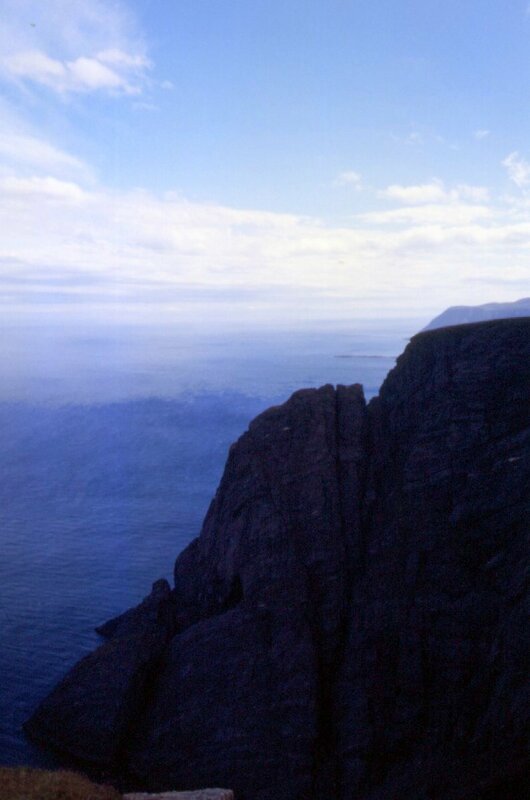 Also, I have seen reports, that you now have to pay an entrance fee to get to the actual North Cape.